Sawing for jewellery making - you'll either love it or hate it! We personally love it. Sawing metal sheet is a technique you will do at the very start of your jewellery making journey and with practice and patience, it will be a skill you will master. 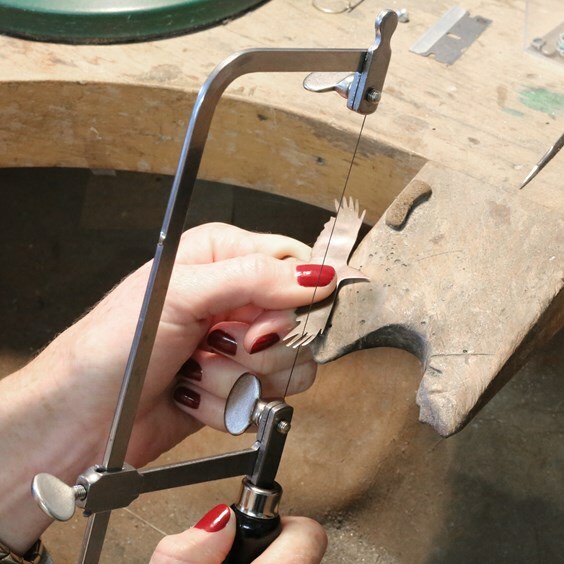 We're sharing with you top tips on using the saw when making jewellery, how to attach saw blades and provide all the supplies you need to get started. Another alternative to cutting metal sheet is using metal cutters/sheers, however with a piercing saw you are able to create many intricate shapes, cut holes and shapes within the metal. This gives you endless possibilities and the chance for you to get really creative at the bench! 1. Hold the saw frame so the frame faces away from you. 2. Loosen the top thumb screw and insert the end of the blade. 3. Make sure the teeth on the blade face outwards. 4. Loosen the bottom thumb screw and place the bottom end of the blade between the plates. 5. Push the frame up against a table as you tighten up the screw - this will ensure a tight fit. 6. Pluck the blade and if you hear a high pitched 'ping' you're good to go! Saw blades are available in a range of sizes for different gauges of metal, the most appropriate grade will depend on the thickness of the metal. A finer blade should be used for thin metal, cutting curves or delicate work. If you're a beginner, we would recommend starting with medium or coarse blades until you feel confident in your sawing technique. The general rule of thumb for choosing the correct coarseness of a saw blade is that there are at least 3 saw teeth in contact with the metal when sawing i.e 3 teeth per thickness of the metal sheet. When you first start using the jewellers saw, it's important to keep the frame vertical while sawing, to keep in control of what you're cutting. When you first pierce the metal you want to start at a slight angle and saw downwards to allow the blade to 'bite' the metal, then continue to saw vertically. Safety is important when it comes to sawing metal. Wearing safety goggles will ensure no particles get in your eyes. Lubricating your saw blades before and while using the saw will help the blades glide gently and smoothly through the metal, preventing it from breaking. Simply swipe the blade through the wax once, you can also use it on the back of the blade to keep the wax from clogging the teeth. When sawing you will need to use an anvil and bench pin. Rest your metal on the bench pin and use your hand to hold the metal while sawing. It can be easy to put a lot of pressure on the saw when you're a beginner. Relax! Have a loose grip and let your elbow do the work. When it's time to create a curve in the metal, you don't want to move the saw but instead, you can use your hand to move the metal. Be patient - you will break your saw blades! Everyone will experience broken and snapped blades, don't be alarmed if this happens as it doesn't mean you are doing anything wrong. You can prevent this from happening by lubricating your blades with beeswax, not putting pressure on the saw while sawing and continuing to check that your blade is taught. At Kernowcraft, we provide everything you need for jewellery making. 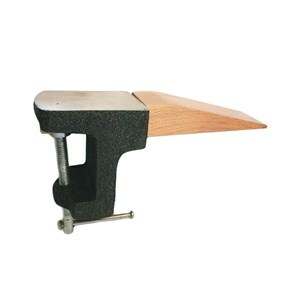 Take a look at our range of sawing supplies including saw frames, blades, lubricant and a bench peg. 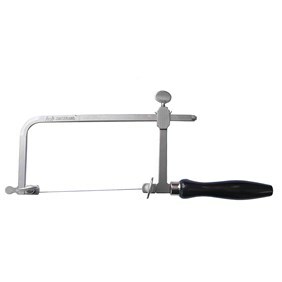 Browse all of our jewellery making supplies here, including silversmithing tools, gemstones and more. 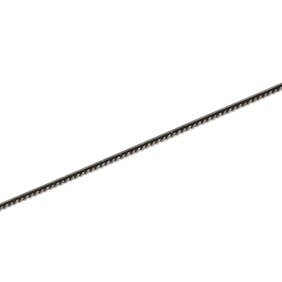 We offer a high-quality jewellers Swiss piercing saw frame for cutting metal sheet, metal tubing and metal wire. This classic design has a comfortable wooden handle, with easy tension adjustment to prevent blades from breaking. It also has an adjustable length which allows you to use different length saw blades to suit your needs. We have a range of saw blades including 2/0 coarse, 4/0 medium and 6/0 fine. These high-quality A*F Gold Shark branded blades are to be used alongside our Swiss piercing frame. These blades are made of hardened tempered steel, with sharp uniformly honed teeth for accurate and rapid cutting. The blades are designed to aid detailed cutwork as the back non-cutting edge is rounded to assist in cutting right curves. As a Cornish business, we love to support other small, local businesses. 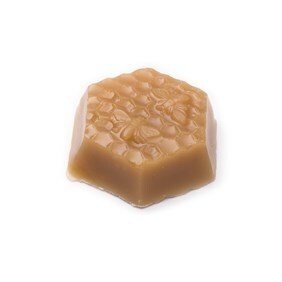 We've teamed up with our friends at Bee Farmers Association & the Cornish Beekeepers Association to provide this natural beeswax. It's a great choice to use with saw blades to help the blade slide smoothly through the metal while sawing. When sawing, an anvil and bench peg is essential. It screws neatly onto the edge of your workbench or table, providing support for sawing, drilling, cutting, filing, sanding, stone setting and more. You can cut a V or U shape into the wooden peg to make it easier to support metal sheet when sawing.